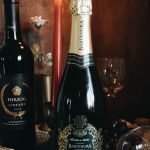 Early last month, Living the Gourmet had the distinct pleasure of being contacted by the Royal Wine Corp., who wanted to know if we would be interested in sampling a range of wines from a variety of the wineries they are associated with. Naturally, we were instantly intrigued. We would be receiving a total of eleven bottles from eight different wineries across California and Israel. It was a diverse group, from centuries old wineries such as Carmel Winery founded in 1882, to far newer estates such a Domaine du Castel, who released their first vintage in 1992. In other words, we were in for a vast and luxurious viticultural journey. However, lest I risk being longwinded, let us dispense of further explanation and introduction, and move onto the wine itself. That is, after all, why all of us are here. 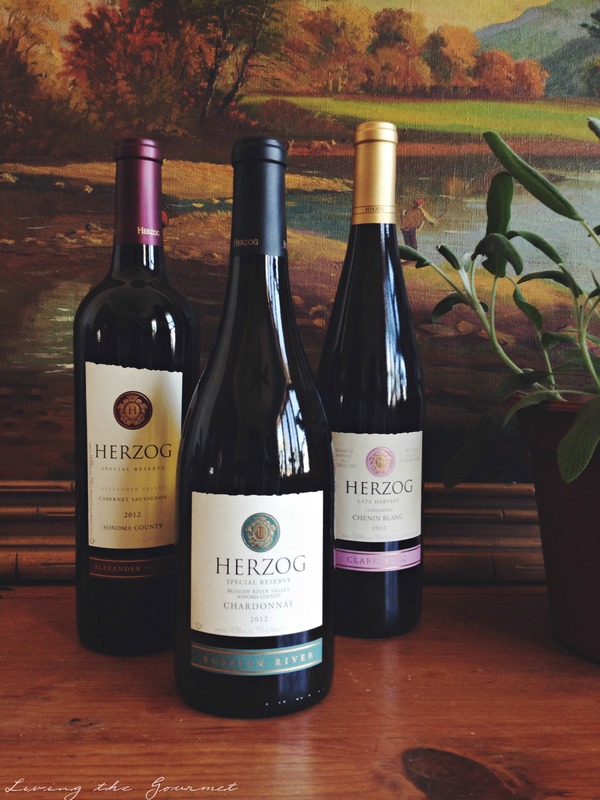 From Herzog, we received the Special Reserve Cabernet Sauvignon 2012, which was aged eighteen months in oak barrels. 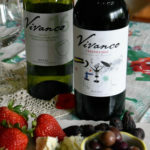 The wine introduces itself with fruity aromas, predominately black berry with hints of ripe or black cherry, and licorice. On sampling, elements of black berry introduce the wine to the palette, complemented by notes of black cherry carried on a backdrop of mocha. Notes of muted vanilla linger on the end. 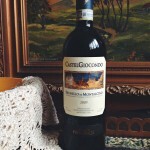 This would serve excellently as a dinner wine, served alongside pasta with red sauce, or rare prime steaks. Also from Herzog, we received the Special Reserve Chardonnay 2012, aged fifteen months in French and American oak barrels. The wine introduces itself with complex aromas of lime, subtle herbal hints, and vague citrus. Richly textured, the wine features an immediate vanilla flavor, alongside hints of tropic fruit and subtle lime notes, both courtesy of the oak barrels. These flavors mellow perfectly on the palette into what is best described as crust of bread or light toast. 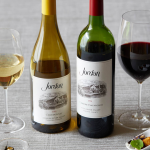 While the winemakers suggest serving the bottle alongside grilled vegetables, roast turkey or barbecued salmon, all perfect pairings to be sure, I could also envision this wine pairing excellently with lightly prepared white fish, or alongside summer themed appetizers such as herbed stuffed mushrooms. Next from Herzog is a late harvest Chenin Blanc 2012. On sampling, the wine announces itself with delicious aromas of honey and either ripe orange or apricot. This creates a perfect prelude to a wine that is distinctly sweet, but perfectly balanced, and displays all of the finest characteristics one would expect from a Late Harvest wine. Due to the natural sweetness of this wine, the winemakers suggest serving it with a full flavored dessert, and I could not agree more. 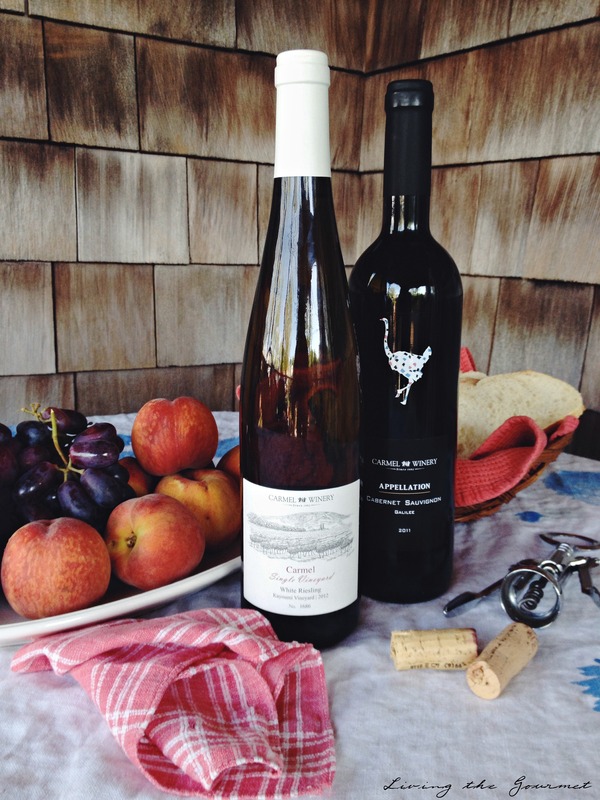 From Carmel Winery is a White Riesling 2012 from the Kayoumi Vineyard in Galilee. Riesling is often considered the most noble of the white wine grapes, with many experts agreeing that it is among the best white wine varietals in the world. The wine introduces itself with aromas of fresh citrus, crisp apple, and lime. 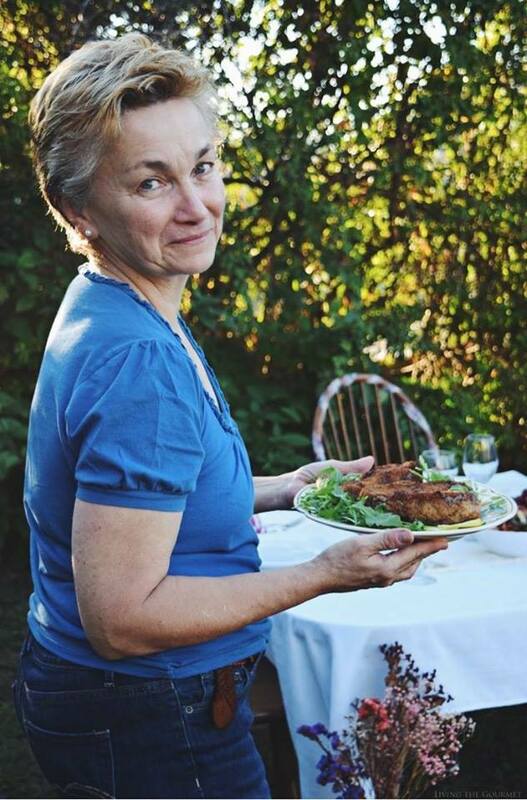 On sampling, I was greeted with a notable but pleasant acidity, which is characteristic of both dry and sweet Rieslings alike. Flavors of green apple were prominent throughout, with vague hints of pear in the background, while fruity notes were present on the end. 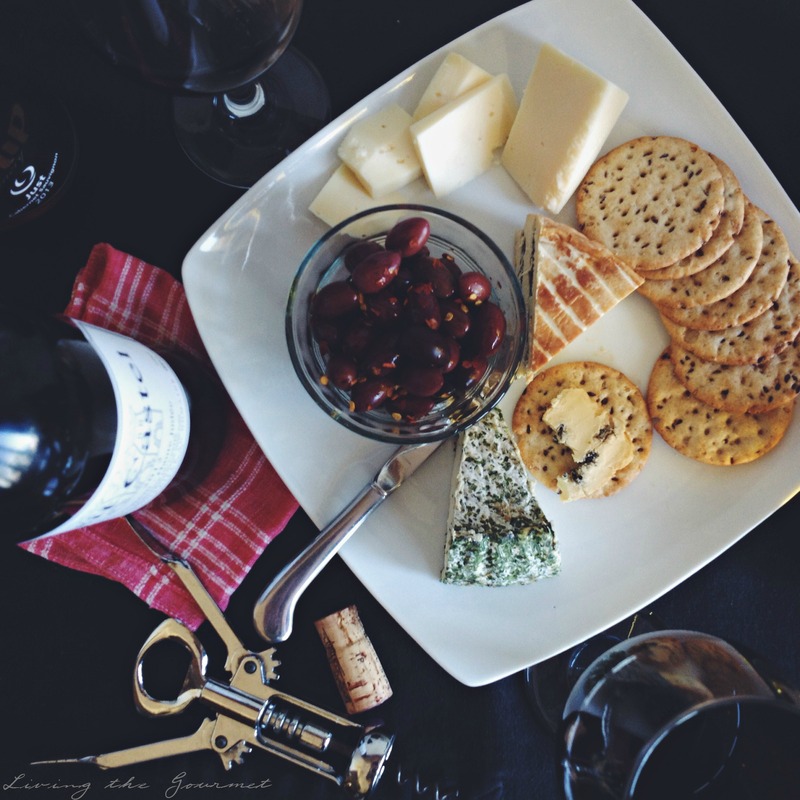 I would suggest pairing this wine with spicy dishes, though I could envision serving the bottle alongside light bodied fish, or with appetizers such gouda or edam cheeses. Our second bottle from Carmel Winery was a Cabernet Sauvignon 2011, aged fourteen months in French oak barrels. The wine features a rich purple hue, which I found very pleasing to the eye, and possesses a fruity nose of dark berries and traces of eucalyptus. I noted hard but pleasant tannins, with black current flavor prominent throughout, alongside distinct vanilla notes. This would pair excellently with aged gouda, or prime red meat. 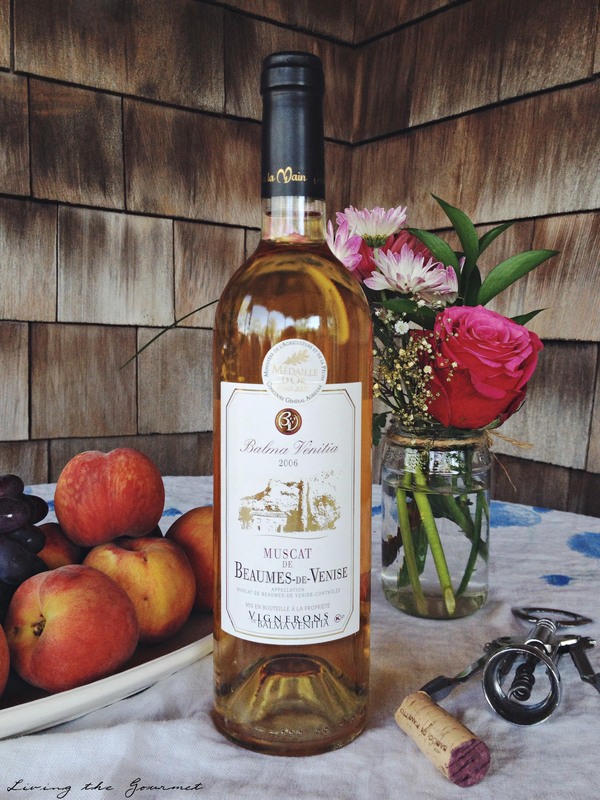 From Balma Venitia we received a 2006 Muscat de Beaumes-de-Venise, labeled with the Medaille d’Or. Possessing an instantly beautiful pale golden hue, the wine greets with an aroma of fresh apricots, elements of orange peel and litchi. Peaches were also noticeable on the nose, though muted in comparison. The wine possessed a profile primarily of fruity essences, particularly light ripe fruit, with balanced sweetness throughout. While the winemakers recommended serving the wine as an aperitif, with melon or sweet pastries, I wouldn’t hesitate to serve this wine after the meal had been completed, especially as an end note to a formal dinner party. 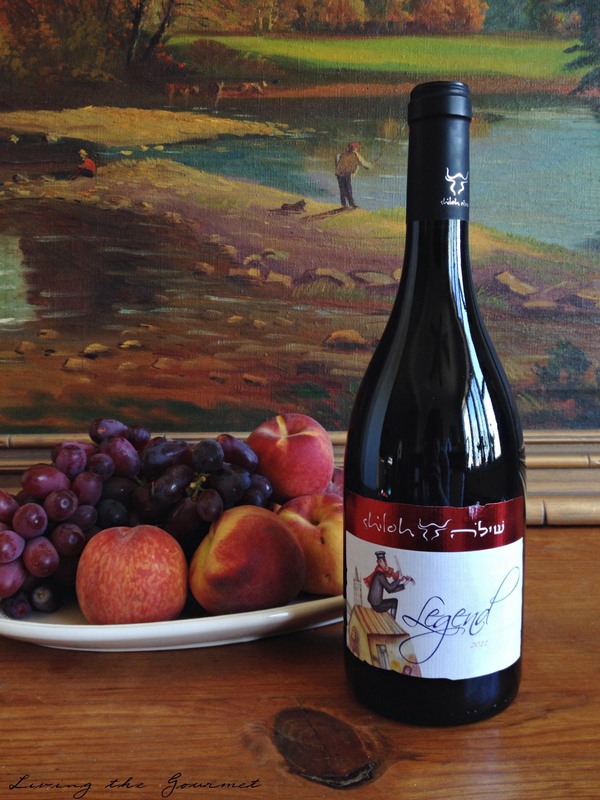 From Shiloh wines of the Judean Hills we received the Shiloh Legend 2011, a Petite Syrah-Petite Verdot-Shiraz, which was aged in French and American oak barrels for sixteen months. Possessed of a deep crimson yet somehow opaque hue, I was not surprised to be greeted by an aroma of varying tones of black fruit. The flavor profile I find myself having to describe as somehow ‘masculine’ in nature, with a complex bouquet of cocoa and leathery tones, with elements of spices discernable throughout. I will have to concur fully with the winemakers who suggest pairing this bottle with any kind of pasta dish, red meat, or barbecue. For reference, I will note that the winemakers take space on the label to note that further aging this wine will continue to enhance its quality. 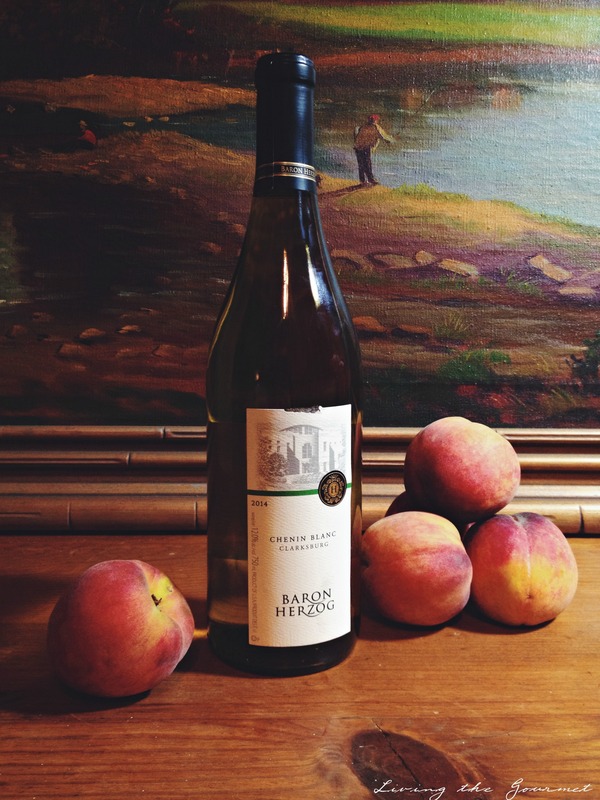 From Baron Herzog (not to be confused with Herzog), the Chenin Blanc 2014 from the Clarksburg appellation features fruity aromas with what I found to be hints of honey or possibly vague apple notes. On sampling, the wine exhibited immediate fruity flavors, with wild berry or perhaps ripe gooseberry predominating throughout. On the end, hints of peach lingered, along with notes orange or nectarine. I’ll concur with the winemakers who suggest serving this alongside spicy entrees or poultry. However, I found myself imagining this on a cool summer night after dinner with friends or family. This wine would serve equally well in both relaxed and formal settings. 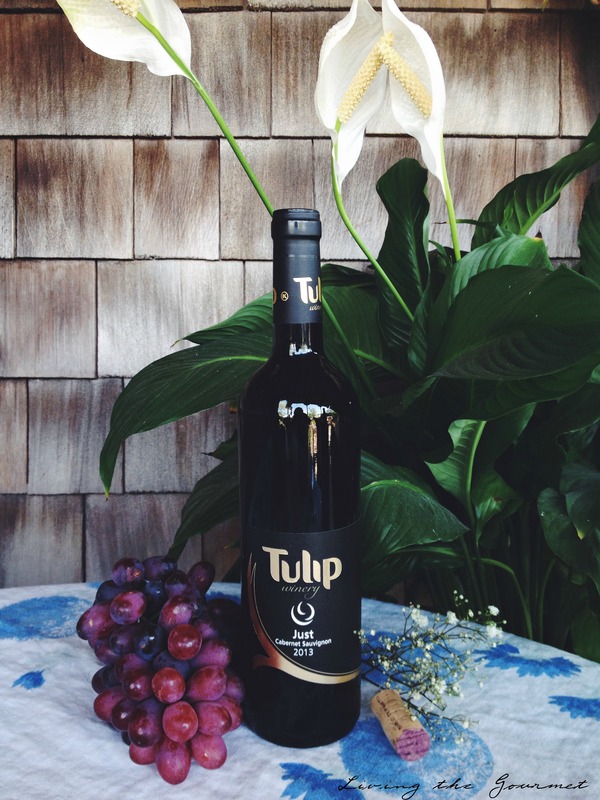 From Tulip Winery in upper Galilee we received a 2013 cabernet sauvignon, aged six months in French Oak barrels. Dry with a medium body, the wine features balanced acidity and soft tannins alongside flavors of black berry, vague vanilla textures, and luxurious elements of earthy minerals. I was also able to discern what I believe were woody elements, which enhanced rather than detracted from the overall experience. Given its elegant flavor profile, as well as the exquisite presentation, I could easily imagine this wine at a formal dinner party. As for pairing, I would suggest serving this with roast lamb, cream sauces, or pasta with red sauce. 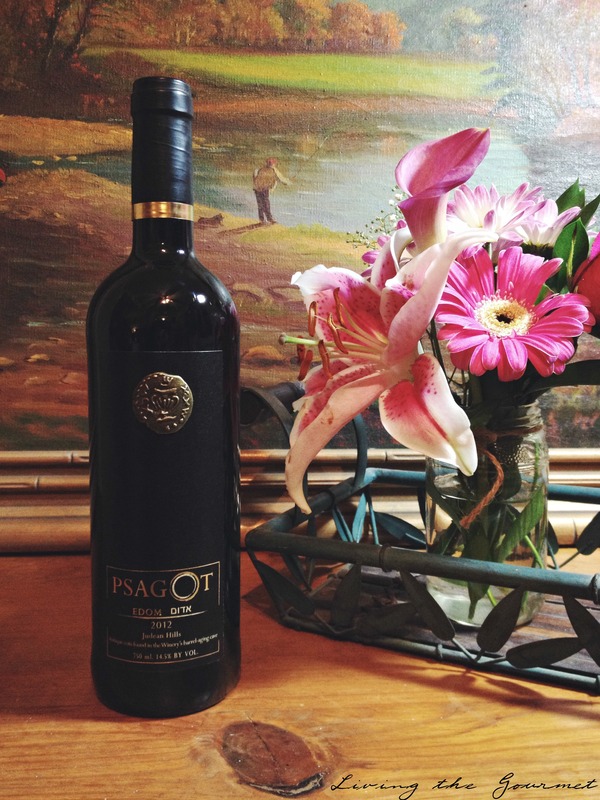 The next wine, Psagot’s Edom 2012, is the premier red wine of the Psagot Edom Winery of the Judean Hills. The bottle comes stamped with a depiction of an ancient coin dating to the Great Revolt of 66-76 CE, a coin that was discovered while digging out the cave that would become the winery’s aging room. 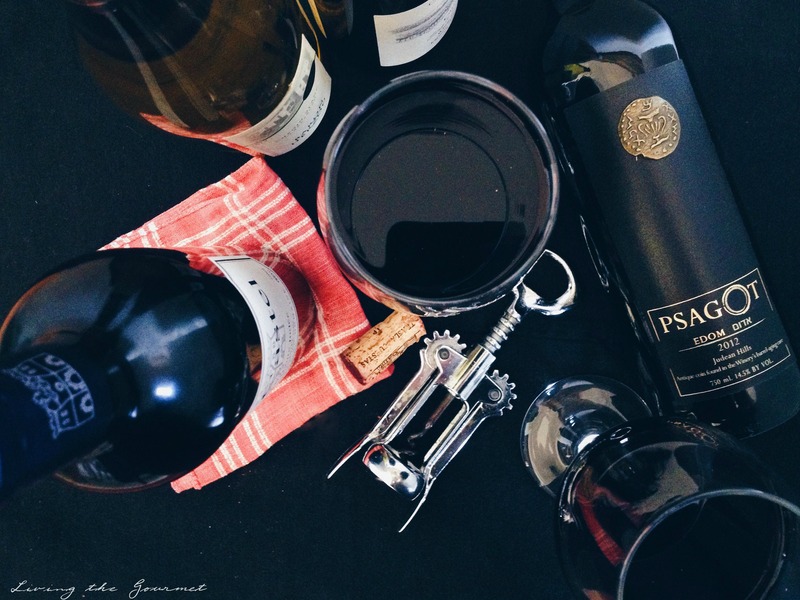 The wine is a blend of cabernet sauvignon, Merlot, cabernet franc, and petite verdot, and was aged for fourteen months in French and American oak barrels. The top of the glass features berry notes, notably black berry or perhaps wild berry, and moves into a middle with hints of mocha or black coffee, while the bottom features distinct fruity aromatics, predominately nectarine. Sampling, the wine greets with ripe fruit, distinct dark berry notes, and subdued spice essence. Tannins are pleasant, but robust. Overall the wine had a distinct grit to it that I found very enjoyable, creating a classic red wine. I would suggest pairing this wine with a solid blue cheese, spicy entrees, or spicy Italian dishes. 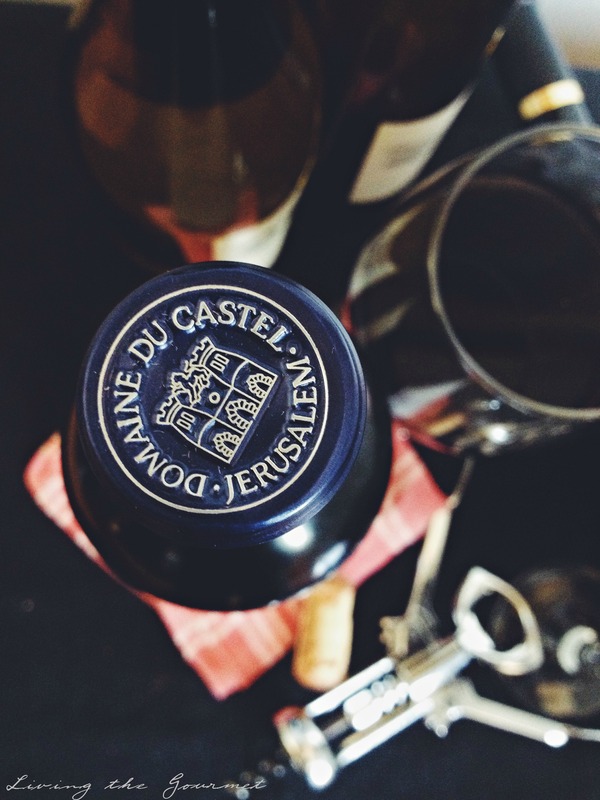 From Domaine du Castel we received Petit Castel 2012 Jerusalem – Haute Judee, which is estate bottled in the Judean Hills. 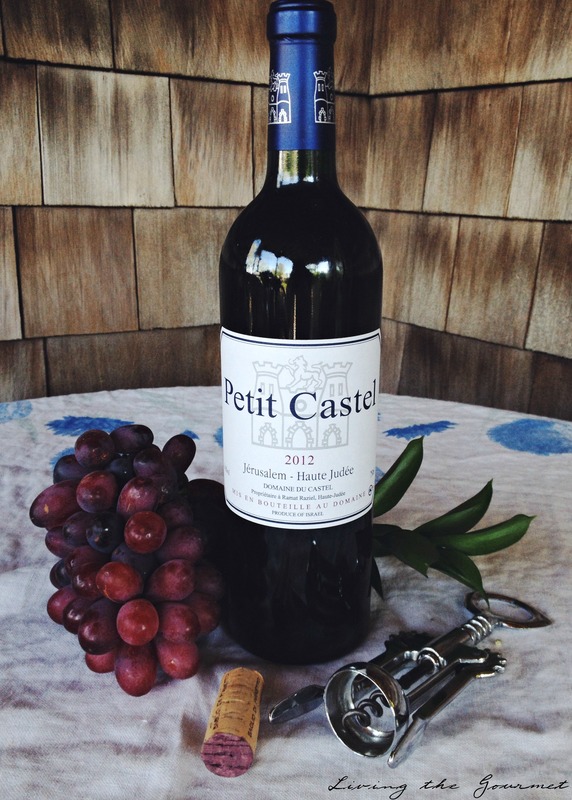 The Petit Castel is a blend of cabernet sauvignon, merlot, and petit verdot, which was then aged for sixteen months in French oak barrels. Much like its presentation, the Petit Castel is a very hardy wine, with a full body, and a deep purple coloring. Tannins are subdued, but lend a certain grace throughout. Ripe dark fruit and black berry are immediate upon sampling, with dry spice or herb notes throughout, followed by notes of cherry, with hints of plum or wild berry lingering on the finish. For pairing, as noted before, this is a hardy wine with very pronounced bold flavors, notable acidity and tannins, and as a result I would recommend pairing this with an equally hardy meal. Shellfish would pair excellently overall, though I also found my mind wandering to various dishes of Greek cuisine during sampling. Overall, this was a supremely enjoyable journey from start to finish, and I would not hesitate a moment before recommending any of the wines outlined here. Sorry, but being ambushed by auto-play Mode Video advertising makes me want to start drinking again. A few of these looks perfect for me. I don't think I've had a wine from Israel. Will have to look for it. What a wonderful selection of wines. 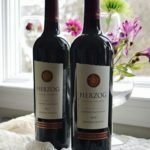 My husband and I are always looking for new wines to try. You've given us several to add to our list. I bet all of these wines were wonderful!! I can almost taste them all! Lovely photos. You have a very discerning and sophisticated palette.I know nothing about wine. But in our area, we have a lot of vineyards and wine tastings. Thanks so much for sending me the message!! 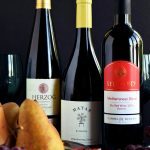 Our favorite pastime - especially on vacation - is to visit family owned local wineries all over the U.S. We've never had anything from Israel, and this post is quite intriguing! My husband, the professor, has been to Israel, so we'll be looking for some to try!